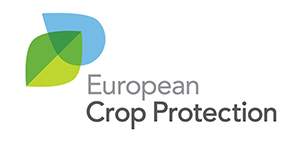 ECPA represents the crop protection industry in Europe; innovative and science-based, our solutions keep crops healthy and contribute to providing Europeans with a safe, affordable, healthy, and sustainable food supply. We promote modern farming practices and champion the use of crop protection technology important for the sustainable intensification of agriculture. Our awareness raising and stewardship activities further the safe and sustainable use of pesticides in Europe, encouraging management practices that safeguard harvests, human health, and the environment. Through our stewardship projects, ECPA seeks to demonstrate our commitment to the safe and sustainable use of pesticides. TOPPS Water Protection is the continuation of a well-established series of projects dedicated to reducing pollution from agricultural inputs by encouraging the uptake of best management practices (BMPs) for water protection. TOPPS projects are multi-stakeholder projects, which collaborate with local partner organizations to provide skills ranging from science to on-farm advice. Furthermore, each year ECPA provides a platform for discussion and dialogue on important topics at its Regulatory Conference with several hundred experts and stakeholders from all over Europe. ECPA’s network of National Associations and member companies is an important means to increase the uptake of new technology and innovation to foster sustainable agriculture across Europe.